Our Cosmic Wind Spinner brings spectacular style to your universe. 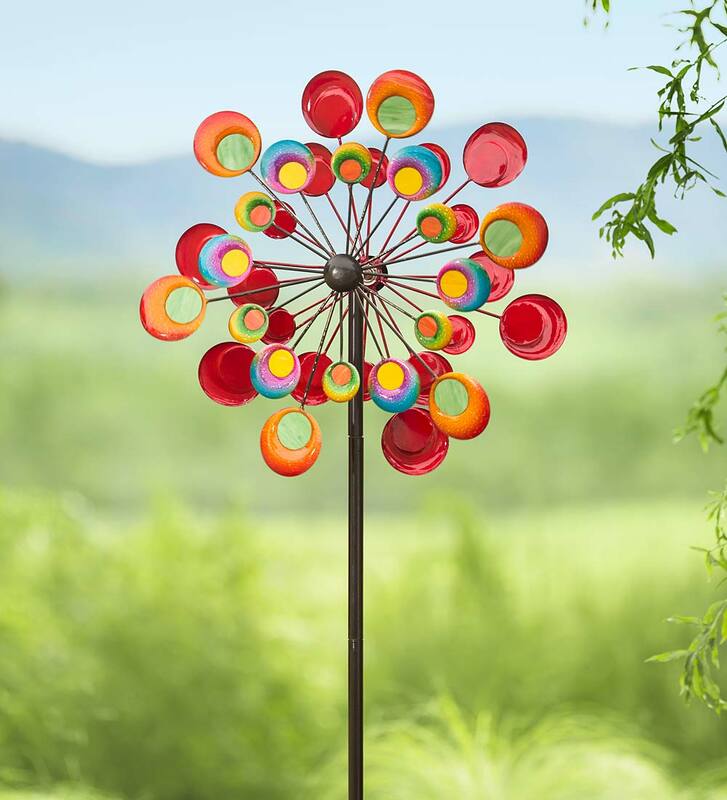 This eye-catching garden accent features colorful metal discs with glass centers for a mesmerizing show that's out of this world. Place it in your front yard or garden for an extraordinary display of color and motion in any season. Sturdy metal construction; bright electroplated finish. Our Tree of Life Wind Spinner is rich in meaning and full of style. 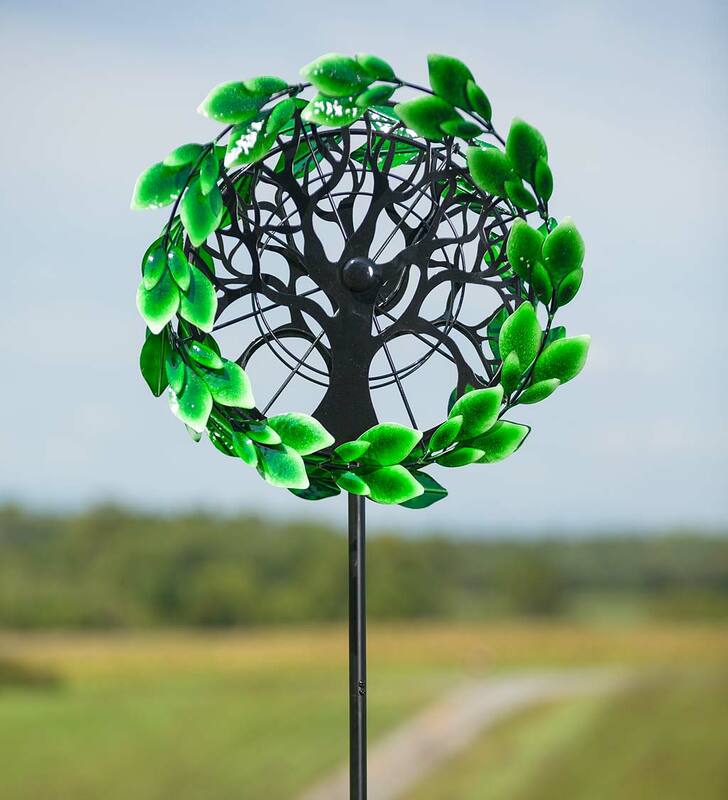 It makes a vibrant addition to your landscape with its bright green leaves and laser-cut tree motif. The Tree of Life illustrates the interconnection of all life on the planet, adding symbolism and meaning to our artful spinner. 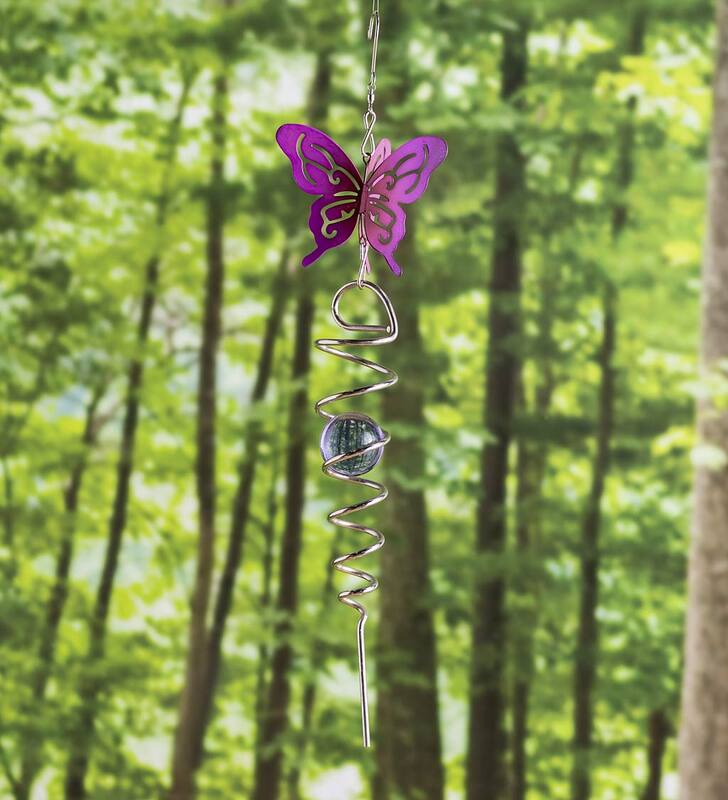 This spinner can catch a breeze from any direction to add color and eye-catching movement in any season. The tree on each side remains stationary, while the wreath of vibrant greenery spins around it. Made of sturdy metal with a durable finish, perfect for year-round display.